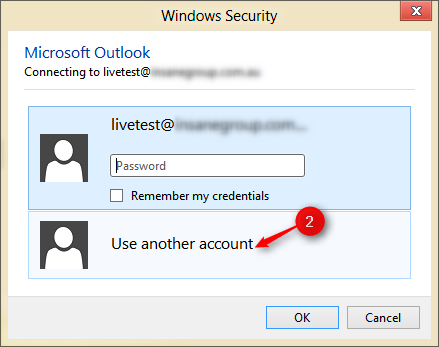 This article will help you change the username of a profile where the exchange settings haven’t changed but the username/default email account has been changed on the exchange server or in the hosted exchange portal. 1. Close Outlook and re-open Outlook. 2. 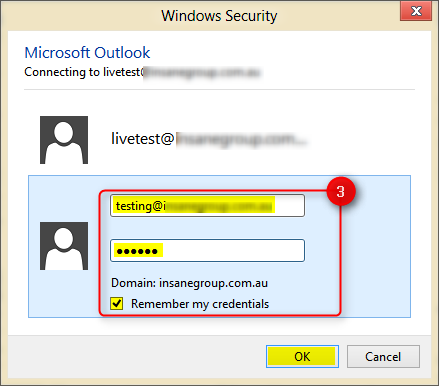 Once Outlook opens up you should be prompted with a Windows Security pop-up. 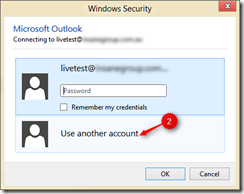 Select Use another account. 3. 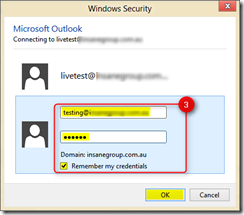 Enter the new email address and your password. Ensure that you tick the box Remember my credentials. Click OK. Your emails should now send from the new default email account. If you have any issue please contact you systems administrator.